That’s right, we’re giving away 5 packages to Ho Chi Minh City’s APT Championship Event on the 19th of July, and the best part about it is that you can play for your spot for FREE. We sent five skilled CoinPoker players to Seoul last month, and this time you’ll be getting more than just a paid seat at the table. A chance to play at arguable the biggest poker series in Asia! Note that the packages do not include flight travel, but aside from organizing your own ride there’s nothing to do but practice for the big event. All the admin and paperwork needed to participate will be handled by our team, and for the full details please read our terms and conditions here. If you can’t make it to the freebuys, there’s another way for thrifty players to join the RD1 Satellites for free. 6 Satellite Seats Saved for Social Media Giveaways! 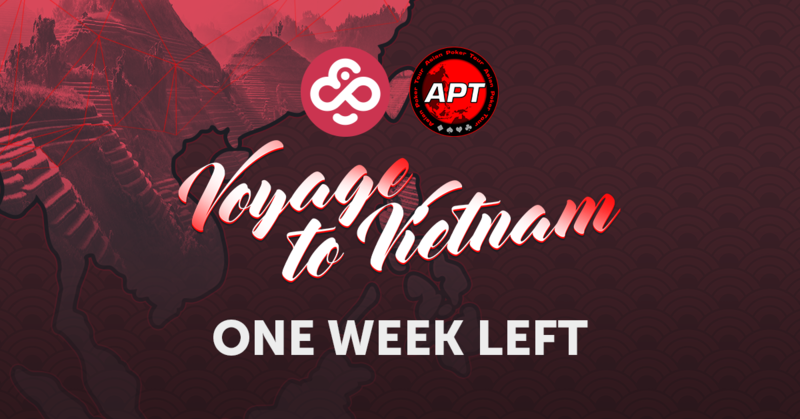 For every APT Satellite reminder posted on our Facebook, Instagram, and Twitter accounts we will be giving away 2 entries to the next Voyage to Vietnam RD1 Satellite. That’s a total of 6 seats to each satellite being given away. Here’s how you can win a free seat, but keep in mind that only one seat per satellite is available to win for each player. You can try your luck at one (or all) of these social media giveaways for a shot at a free spot and the table. All you need do after completing the steps above is wait for the winners to be announced a few hours before the satellite to see if you’re one of them. Have a look at the satellite times and promo details here, or head over to the CoinPoker lobby to start playing for your package. For assistance or questions regarding the Voyage to Vietnam satellites get in touch with our support team on Telegram, or send an email to [email protected]. Good luck, and see you in Vietnam! Next Post [FAQ] How Do I Send CHP Tokens to My CoinPoker Account?